Secondhand smoking means indirect tobacco smoking that is also recognizable as Environmental Tobacco Smoke (ETS). It occurs by inhaling the polluted air where the mainstream smokers have exhaled out the smoke of cigarettes. This smoke from the cigarettes includes more than 4000 chemicals, which are the leading causes of cancer. This polluted air is more dangerous than the smoke, which comes out after using a cigarette. The smoke of cigarette causes many diseases, and someone who is inhaling this infected air has more chances to suffer from fatal diseases like cancer, lungs problems, heart diseases, etc. Children are the chief who suffer most due to this polluted air, as their immune system does not develop properly and have more chances to infect with various diseases earlier. Some countries have successfully developed the concept of e-cigarettes to reduce the fatal results caused by smoking. 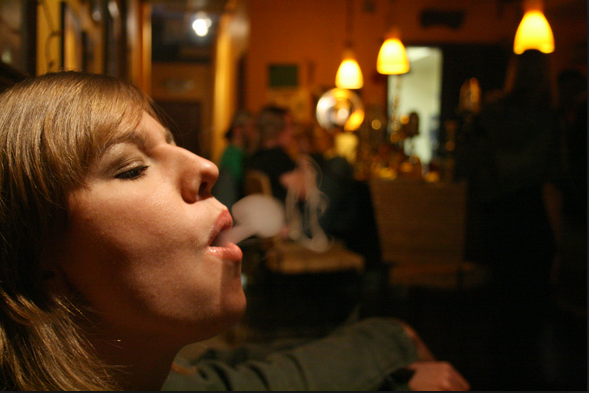 People use E-cigarette with e-juice to inhale only odorless liquid inside. They select best e-liquid for their use to avoid harmful diseases. We know that e-cigarette contains no nicotine so it can not allow you to inhale and exhale the toxic smoke. Secondhand Smoke is more hazardous than the mainstream smoking. There are 4000+ chemicals in a cigarette, which are the primary cause of various types of cancer, heart diseases, and lungs diseases. When someone inhales in the polluted air where smoker have exhaled out, he would have the chances of inhaling the small particles of cigarettes also along with nicotine. When these particles enter into the body of a person, he/she can suffer from lungs infection. Children are the primary victims of the various fatal results caused by smoking. The main harmful effects of secondhand smoking are: - It is the leading cause of different types of cancer. It may result in severe heart problems. It may cause infection and challenges related to lungs. It may cause Sudden Infant Death Syndrome (SIDS) in children. It may cause the low birth weight of the babies as expected, which means the woman who smokes, gives a birth sick child. It may also cause premature birth of babies who have not fully developed their organs yet. It may cause cognitive impairment in babies. It may affect the mental health of children too and thus may affect their IQ level. It may cause problems like depression, aggression, hyperactivity, etc. in children and other persons too. It may also cause various respiratory problems in the people by infecting their respiratory tract. How Do You Avoid Secondhand Smoke? The best way of avoiding secondhand smoking is to leave the place where someone is smoking or recently has done. You should also keep your children away from those locations. The immune system of the babies does not develop properly, so they have the maximum chances of getting infected from this polluted air. Pregnant women should avoid smoking as well as keep away from the area of smoking for the well-being of their would-be child. If they follow these, can reduce the complications in pregnancy. The e-cigarette is a handheld electronic device, which creates you the feeling of tobacco smoking and hence is the best way of overcoming the habit of smoking. It contains best e-liquids such as e-juices, which include no nicotine. It works by heating the liquid present in the cigarette and then forming vapors from this fluid. During the inhaling of e-cigarettes, the smoker tends to have inhaled the odorless air from e-cigarettes, which lacks nicotine and hence cause no harmful effects on the mental and physical health of the people. It also reduces the chances of polluting the air and produces no effect on the individual who surrounds you. Smoking is the primary cause of various types of diseases, which may cause severe harms to the mental and physical health of the people. Not only smokers but the people around the smokers also suffer the consequences of smoking as they inhale in the same air. Secondhand smoking is the primary cause of various fatal diseases in the children. Someone can quickly reduce the habit of smoking with the help of e-cigarettes and they choose best e-liquid that tends the feeling of tobacco smoking in the smoker without affecting his/her health.